Graze have expanded their range yet again and this time it is with a range of oat millionaire bars. Hailed a vegan reinvention of caramel shortbread they presently come in three flavours. Orange and Dark Cacao, Raspberry and Dark Cacao and of course the one chosen for today, Graze Oat Millionaire Peanut Butter and Dark Cocoa. I purchased this Graze Oat Millionaire bar from Boots as part of their Meal Deal. They are also available in major supermarkets and online on Ocado. Coming in at £1.49 a pop, this on-the-go snack contains 10g plant protein, and it’s vegan-friendly. Like with most protein bars and balls this is too packed with dates to give it that ‘caramel-esque’ taste. 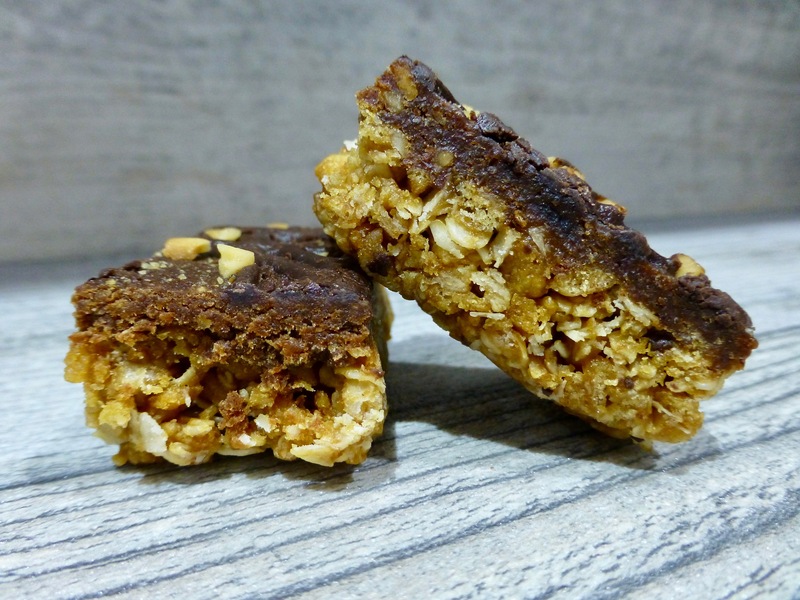 When you read the description it doesnt sound all that appetising – Layered oat & quinoa bar with date paste, soy protein, peanut butter & dark compound coating, so it’s a good job they went for Oat Millionaire. I so wanted to love this bar but it was a struggle. There’s no denying that it is oaty which is fundamental when it comes to taking on the traditional millionaires treat. On the whole it’s nice and chewy and has a good texture to it, making it a sizeable snack that’s filling. Although peanuts were present they were lost which isn’t surprising given the 4% of peanut butter that’s included. On the other hand the date paste was sweet and overshadowed any peanut flavour. To be fair this felt just like every other protein bar I’ve had. If you love dates then you’re likely to get on well with these new Graze bars. 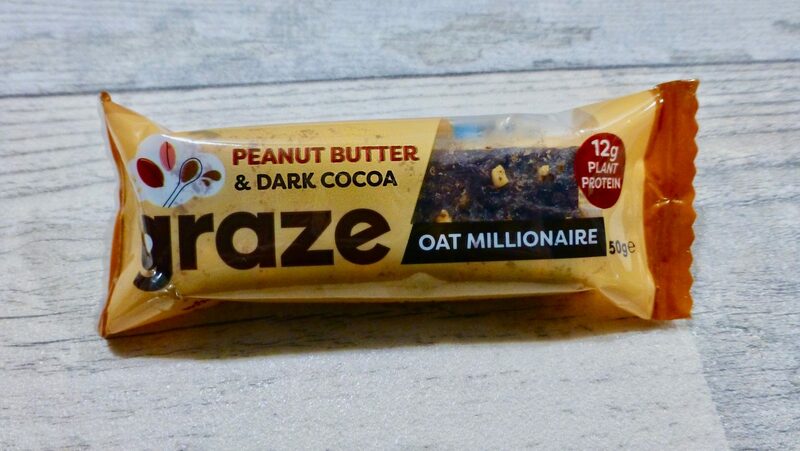 If a snack is going to be flavoured then this really does need to shine through, which this Graze Oat Millionaire Peanut Butter and Dark Cocoa doesn’t do. Sadly I am not surprised here as expectations weren’t all that high, but I was hoping it would prove me wrong and be a new snack staple. Alas no. Have you tried the Graze Oat Millionaire Peanut Butter and Dark Cocoa or any of the other flavours? What are your thoughts? Nibbles n Scribbles, thanks so much for the post.Much thanks again. Really Cool.